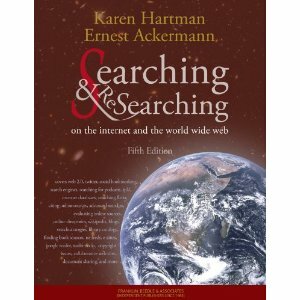 In Chapter 2, “Using the Web for Research,” we introduced different ways to investigate topics using the World Wide Web. One of those ways is to browse and search directories, which can help you find the best resources on a particular topic. For example, they could help with the questions “What are the best sites on the topic of legal research?” and “What are the most useful American literature resources on the Web?” Some directories collect resources that have been evaluated and judged most useful by information specialists. For example, if you wanted the best Web sites that focus on the Middle East and North Africa, a directory would be a good place to start. In Chapter 2, we covered ipl2: Information You Can Trust. In this chapter, we’ll look at another directory and show how to use it. We will introduce the online encyclopedia Wikipedia, and also some Google resources that are very helpful for researchers, such as Google Books and Google Scholar. As a follow-up to this discussion, we will provide a convenient Researcher’s Toolkit, a list of Web sites that will help you find practical information as well as important academic research sites that will get you started on a myriad of scholarly topics. Every good researcher should have a toolkit of resources for their everyday information needs. Directories, topical lists of Internet resources arranged hierarchically to facilitate browsing by subject, can provide many of the most important tools. Most directories have a search capability, which can help you avoid occasionally becoming lost in arbitrary subject categories. Directories depend on the work of individuals who collect, categorize, maintain, and, in many cases, evaluate Web sites to make it easier for people to find what they are looking for. Directories vary in how they are organized, which sites get to be evaluated, and, if they are, what criteria are used. Because directories rely on people for their selections and maintenance, they are necessarily much smaller than the databases that search-engine spiders or robots create. This difference can be an asset in some cases and a detriment in others. When you are looking for a “few good sites” to start with, a directory can save you time, especially if your subject is broad and you’re at the beginning of your research. It is a good idea to know how to use the different directories we covered in this chapter and to explore others. Keep one or two on your favorites list so you can find them quickly. Wikipedia, the free online encyclopedia, is becoming an important resource tool for scholars. Because it is dependent upon the general public for its content, it is important to critically evaluate the information found there. Also important to researchers are some of the special resources that Google provides, such as Google Books and Google Scholar. This chapter gave a brief overview on how to use these resources, with links to several other useful tools.